Louis Palenske was born in Richardson County, Kansas Territory in 1858 (renamed Wabaunsee County in 1859) in a log cabin on the banks of Mill Creek, the son of German immigrants Frederick and Caroline Palenske. Louis was the second white child born on Mill Creek, preceded only by his brother, August. Louis was born within sight of the spot where the town of Alma, Kansas would be established when he was nine years old. Palenske was taught at home by his mother and his aunt, and it was not until he entered school in Alma in 1867 that he learned to speak English, as German was spoken exclusively in their home. Louis attended school in the upstairs of the first courthouse in Alma, located at 227 Missouri Street, until his sixteenth birthday. This stereoview card was created by Louis Palenske in 1880 while working from his “photography tent” in the mining boom town of Rico, Colorado. In this view a burro train had arrived with supplies for the Davis & Raymond General Merchandise store. Photo courtesy Greg Hoots. It was during his sixteenth year that Palenske made a decision to become a photographer. His schoolteacher that year was a photographer, and the instructor offered to teach Louis the trade in exchange for ten dollars. Louis beseeched his mother to finance the venture, and after a series of lessons, he learned to take tintype photos as well as a new type of photography, pictures printed from negatives, transferred to paper. For the next five years, Palenske worked in the summer on his father’s farm, and in the winters he apprenticed at photography studios in Wamego, Topeka, and Kansas City. In 1877 Palenske took an excursion train to Denver and was captivated by the breathtaking landscapes of the mountainous region. In the spring of 1880, Palenske purchased a “photography tent”, and traveled to Rico, Colorado, a booming silver mining town in the San Juan Mountains. He spent six months in Rico, taking views of the miners and landscapes. 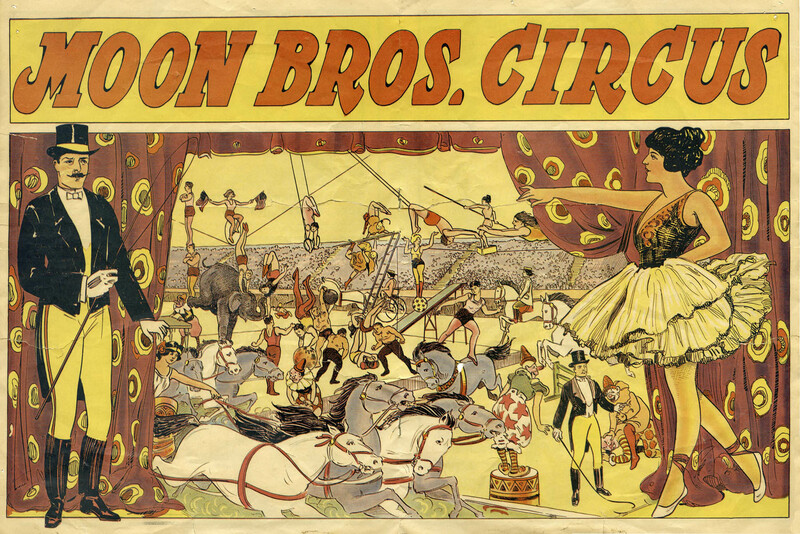 During his time in Rico, he sold photos to Frank Leslie’s Illustrated Magazine. In November, Palenske sold his photo tent and returned to Kansas. Louis and Emma Thoes Palenske pose for their wedding photograph on January 7, 1883. In 1881 Palenske established his first business in Alma, a book and stationery store which also included a photography studio. Two years later, on January 7, 1883, Palenske married Emma Thoes, the daughter of Joseph and Augusta Dieball Thoes, early Wabaunsee County pioneers. Throughout the 1880s Palenske operated his photography studio in a small building behind his bookstore. Early in 1887, having garnered the respect of the Alma business community, Palenske opened his first bank under the name, L. Palenske & Co., Bankers. It was in 1887 that Louis became friends with Gus Meier, a young man of twenty-two years who had studied at Kansas State Agriculture College in Manhattan after growing up at Halifax, about ten miles south of Alma. Meier had taken an intense interest in photography upon meeting Louis Palenske and had expressed his interest in learning the trade after deciding not to return to college in the fall of 1887. This handwritten letter from Louis Palenske to Gus Meier is dated September 14, 1887, inviting Meier to come to Alma to learn the photography trade. Meier accepted Palenske’s offer and came to Alma, moving into the Palenske’s home while studying photography as an apprentice to Louis. Within the year, Meier purchased the Palenske studio in Alma. Gus Meier is photographed with a camera in his studio located at 210 Missouri Street in Alma, Kansas. After selling the studio, Palenske entered the banking business in earnest, establishing the Alma State Bank in 1889, later partnering with the Alma National Bank, and then, in 1907 he founded the Commercial National Bank. For twenty-five years Louis Palenske retired from photography and focused on his business interests in Alma. During those years Palenske constructed five limestone business buildings along the east side of the 200 block of Missouri Street, creating what was known as the Palenske block. This is a colorized photo postcard showing the Commercial National Bank in Alma, Kansas. This building, a former saloon, was purchased by Louis Palenske in 1907 and the façade was extensively remodeled to accommodate the new bank. Meier excelled at the photography trade, while his genial personality and friendships throughout the community brought much business his way. Meier was a commercial photographer, and in a career where his portfolio of images numbered in the tens of thousands, perhaps as much as 75% of his work was studio portraits. However, Meier’s extensive work in Alma and throughout Wabaunsee County provided a unique look into the lives and livelihoods of these Flint Hills residents. This Gus Meier photo, circa 1891-1899, shows the Alma Signal newspaper building, left, and Phil Birk’s Meat Market. This photo was created from the lost attic negatives courtesy Paul Gronquist. Meier specialized in photographing local businesses and homes, selling the images to the owners. Many of those photos include interior views illuminated by an attachment using flash powder for a light source. His work ran the gambit, from men posing in front of comical backdrops to wedding photos, from school photos to photographs of funerals. His expertise behind the lens, coupled with his business sense in creating photo work during hard times, served him well in the trade which he pursued for a half-century until his death in February of 1941. Two couples in a buggy and an unidentified man pose for Gus Meier on Main Street (West 3rd St.) in Alma, Kansas. Palenske Hall, 227 Missouri St., can be seen in the background and the back side of the first Wabaunsee County Courthouse is visible directly behind the buggy. Photo courtesy Paul Gronquist. Louis Palenske and Gus Meier shared the close bond of mentor and student, as well as the comradeship shared only by best friends and brothers. To the seven Palenske children, Max, Minnie, Fred, Arnold, Laura, Victor and Florence, Gus was a gleeful partner in jokes and shenanigans that kept the family considerably entertained. For two decades, Meier was the Palenske family photographer, taking many hundreds of photos of the Palenske children and family. To the Palenske family, Gus Meier played many roles, best friend, housemate, brother, father, uncle, and comrade. On November 27, 1912, at the age of 47, Gus Meier married Mary Wetzel, and from that time, Mary became a part of the Palenske family as well. For over a half-century the friendship between the Palenske and Meier families endured, despite the distance which divided them for two decades. This wedding photo of Gus and Mary Wetzel Meier was taken on November 27, 1912. The early 1900s brought mixed fortunes for the Palenske family. In 1897 Louis Palenske began his first of two terms in the State Legislature, traveling to the Statehouse from Alma by train for the sessions. The first ten years of the 20th century also were a time when the Palenskes enjoyed traveling throughout the United States, but particularly through the Western states. Palenske’s interest in landscape photography and in the Western trails grew during these years. Louis and Emma Palenske had children, Max, Minnie, Fred, Arnold, Laura, Victor, Florence and a baby, Homer who died in infancy. The family lived in the upstairs of Louis Palenske’s first bank, located at 204 Missouri Street, and in 1908 they moved to the upstairs of his Commercial National Bank building at 226 Missouri Street in Alma. Meier resided with the Palenskes during those years. It was in 1902 that Louis Palenske made a business decision which would reshape his future and that of his entire family. The Alma National Bank had made a loan to H. F. Disbrow to purchase the flour mill from Lorenzo Pauly. The mill was in poor repair and within a short time, Disbrow was taken ill, and he returned the mill to the bank in default. This view of the flour mill located on Mill Creek at Alma was taken after Louis Palenske had installed a steam power plant at the business, circa 1910. Louis Palenske felt that the loss could be recouped if some repairs could be made to the mill and if it were modernized. Palenske paid the outstanding $2,000 balance on the note and assumed ownership of the mill. He added a steam-powered engine to the mill, increasing its capacity. The upper dam across Mill Creek which impounded water that operated the existing wheels was rebuilt at considerable cost. Palenske acquired the mill at a time when all of the smaller flour mills in the state were being driven out of business by the huge mills in the cities which operated on smaller margins, providing a larger profit for the farmer, even when the cost of transporting the grain via rail was calculated. For ten years Palenske owned the mill, continuing to upgrade the equipment while operating at a loss. In the end, he borrowed heavily to complete $40,000 in improvements at the mill, and when it sold at auction in 1913, the mill brought only $700. The Palenskes lost everything. All of the investors and note-holders for the bank were repaid in full, and the Commercial National Bank’s remaining assets were acquired by the Farmers National Bank, leaving the Palenskes penniless and Louis without a job. Louis Palenske is seen here in his new photographic studio in McFarland, Kansas in 1914. Palenske constructed a studio in McFarland in 1914, but after three difficult years he found that the town could not sustain a photographer. Rather than compete with his friend, Gus Meier in Alma, he set out on a journey to the coalfields of southeast Kansas in search of work as a studio photographer. 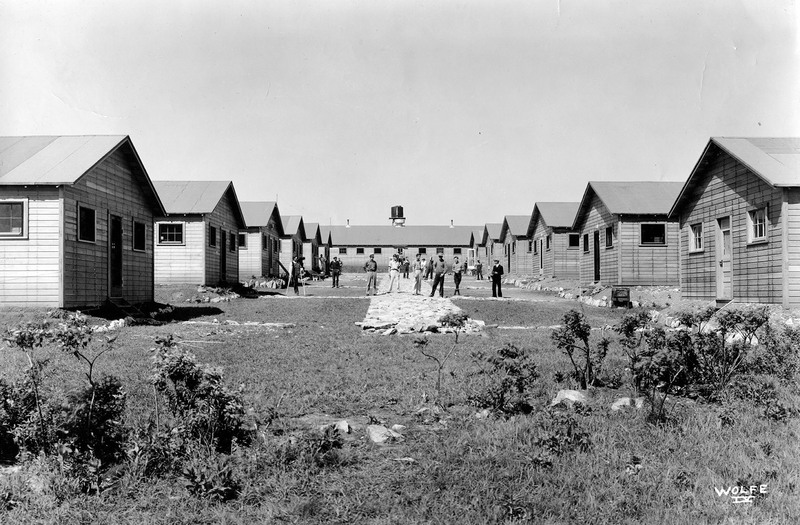 First, he went to Scammon, Kansas believing that the many coal miners living in the area would make for good business. The photography business at Scammon was poor, as well. Palenske learned that coal miners were not like the silver miners he had met in southern Colorado. The coal miners were poorly paid, overworked, and simply not interested in having a portrait made. 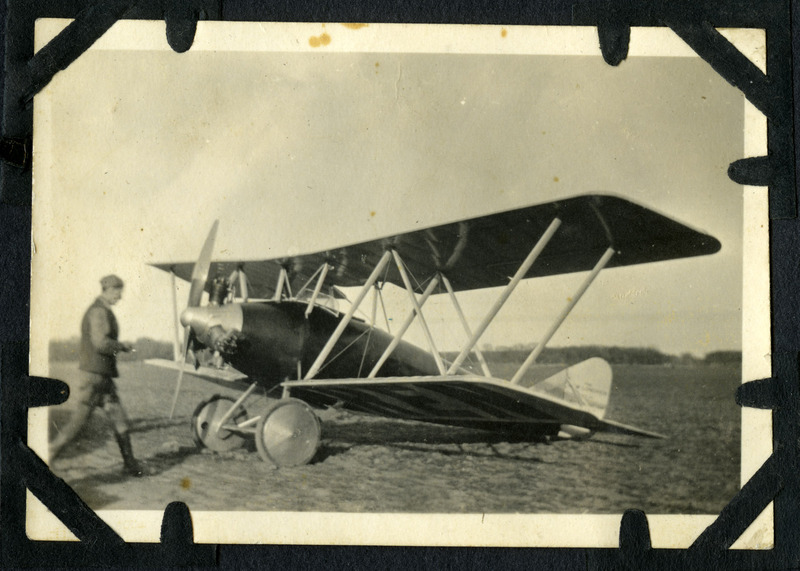 While operating a studio in Burlington, Kansas, Louis Palenske purchased a Korona Panoramic View Camera which used 17 and 20-inch wide film negatives. Palenske used his Korona camera to photograph the flood waters of the Neosho River at Burlington on September 12, 1926. Palenske heard that in nearby Burlington, Kansas there was a vacant photo gallery, and after only a few weeks in Scammon, he moved to Burlington. While the photography business was better in the farming community, the prejudice against those of German ethnicity was just as prevalent as in Scammon. Palenske described the “hatred for everything German in our country, so that everyone with a German name was looked down upon and was persecuted, insulted and slandered. I have heard it said, ‘We can trust no one with a German name.’ This, of course, puts me in the category of the HATED class.” No one was more relieved and pleased than Louis Palenske when the armistice was signed late in 1918, and the anti-German sentiment began to wane. Louis Palenske photographed the 1926 dedication of the football stadium at the Haskell Institute in Lawrence, Kansas. Here, Chief Two Gun White Calf and his four-year-old granddaughter meet with Haskell Institute Superintendent Hervey B. Peairs before a large crowd. Chief Two Gun White Calf is believed to have been the model who posed for James Earle Fraser’s sculpture used on the “buffalo nickel”. While living at Burlington, Palenske constructed a high-power transmission line between Burlington and the town of Gridley, Kansas which had been without power. 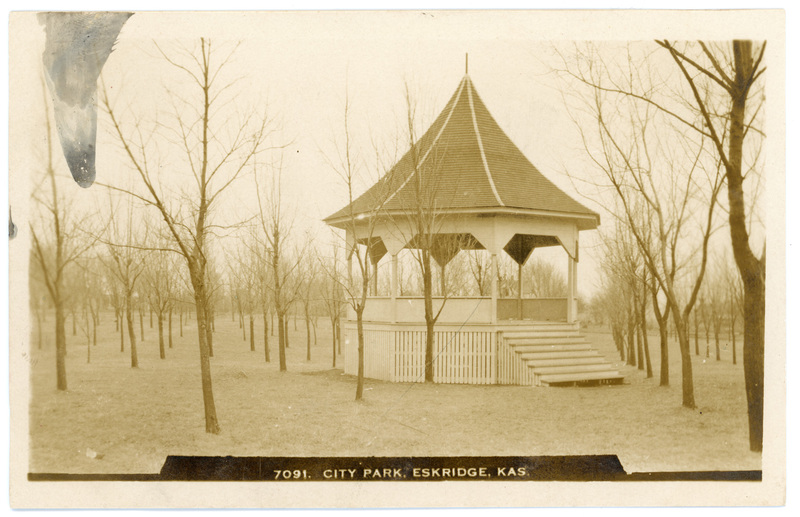 Palenske entered into a twenty-year contract to provide power to Gridley; however, he sold his power company when he and Emma moved to Osage City, establishing a studio there in 1928. Louis Palenske created this panoramic view of the Santa Fe Trail ruts seen ten miles west of Dodge City, Kansas in 1928. In the mid-1920s, while operating his gallery in Burlington, Kansas, Palenske purchased a Korona Panoramic View Camera, a large-format landscape camera equipped with film holders for 7×17-inch and 8×20-inch sheets of film. 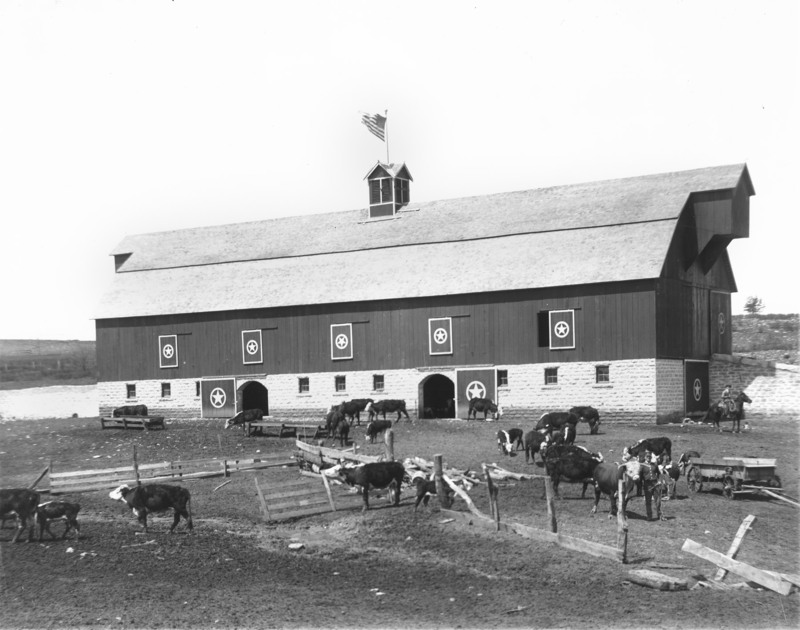 While Palenske used the camera for events featuring large groups of individuals, such as his views of the 1926 dedication of the Haskell Institute football stadium in Lawrence, his real motive for the purchase of the Korona camera was to use it for photographing the American West and the pioneer trails. He took his first trip down the Old Santa Fe Trail in about 1928, followed by excursions throughout New Mexico, Arizona, and the Badlands of South Dakota. In 1930 Palenske traveled the Oregon Trail and the California Trail, taking over 100 photographs during that trip. Later that year he made a second trip on the Santa Fe Trail. In 1937 Palenske returned to Rico, Colorado, where he had operated his photo tent in the summer of 1880, and the same year he made his final trip through the Black Hills. Louis Palenske created this panoramic view of Canyon de Chelly, located on the Navajo nation in northern Arizona during his photographic excursion to New Mexico and Arizona in about 1929. Photo courtesy Patrick Yore. In 1936 Palenske retired from studio photography, and the couple moved home to Alma into a house which their son, Fred had purchased for them. That year, Palenske collaborated with New York publisher, Wilson-Erickson, Inc. in republishing Alonzo Delano’s narrative about the California gold rush, Across the Plains and Among the Diggings, illustrated with fifty-five of Palenske’s panoramas of the Oregon and California Trails. Louis Palenske made two photographic excursions to the Badlands in South Dakota between 1928 and 1937. The Palenske’s 1936 return to Alma was a wonderful reunion for Louis Palenske and Gus Meier. In the numerous family and group photos which Louis Palenske would engineer and orchestrate, often it was his old friend, Gus, who would finally trip the shutter while Louis would pose with the group. In their final years, the two accomplished photographers lived within sight of each other’s homes and spent much time together. In this short film clip from 1935 we see Louis Palenske and Gus Meier preparing Palenske’s Korona camera to take a photo of the Palenske-Hallgren wedding party, seen below. Gus Meier photographed the Palenske-Hallgren wedding party at Alma in 1935. Louis Palenske stands at the far right with Emma Palenske to his right, holding granddaughter Rita Stella Faulders’ arms. Earl and Florence Hallgren stand at the center of the group. This is the photo created in the film clip seen above. Gus Meier continued to operate his gallery in Alma’s “Palenske block” throughout the 1920s and 1930s, having moderate success despite the varying economic conditions. Gus and Mary Meier continued to enjoy the friendship and proximity of Louis and Emma Palenske throughout their final days. Gus Meier photographed the Rock Island section crew in this view from the 1890s. This is one of the “lost photos” discovered in an Alma attic where Meier had lived in the 1890s. Photo courtesy Paul Gronquist. In 1909 Gus Meier fathered a son out of wedlock, and the boy was adopted by a farm family at Beloit, Kansas. Coming of age, the young man, Paul Heiman, inquired as to his parentage, and he was told that Alma, Kansas photographer Gus Meier was his father. The young man traveled to Alma and met his biological father, and the two established a close relationship. Meier trained the young man in the profession of photography and the pair took a trip to Colorado to photograph landscapes. Meier wrote a will, giving all of the contents of his studio to his son, and upon Meier’s death from a heart attack on February 17, 1941, Paul Heiman became heir to the contents of Meier’s photographic business. The inheritance included Meier’s cameras, backdrops, and most importantly, some 5,000 or more negatives spanning Meier’s career. Shortly after Meier’s death, Heiman removed the cameras and negatives from Meier’s studio and transported them to Beloit where he opened a photographic studio. Gus Meier photographed a funeral procession entering Alma from the south. Visible in the background is the first CRIP depot which burned to the ground on August 31, 1900. Photo courtesy Emmett Burleson. Paul Heiman operated his studio in Beloit throughout his adult life, never marrying nor having any children. Heiman began a hobby of collecting the negatives and cameras of professional photographers from Kansas, amassing a collection that numbered in the tens of thousands. Upon Paul Heiman’s death, the contents of his photography studio were inherited by his nephew, Kyle Peterson. Peterson maintains the collection which includes the Meier negatives, today. Gus Meier’s photographic body of work included perhaps 10,000 images or more. After Mary Meier’s death in 1966, heirs to the estate donated over 160 of Gus Meier’s photographic prints to the Kansas State Historical Society. 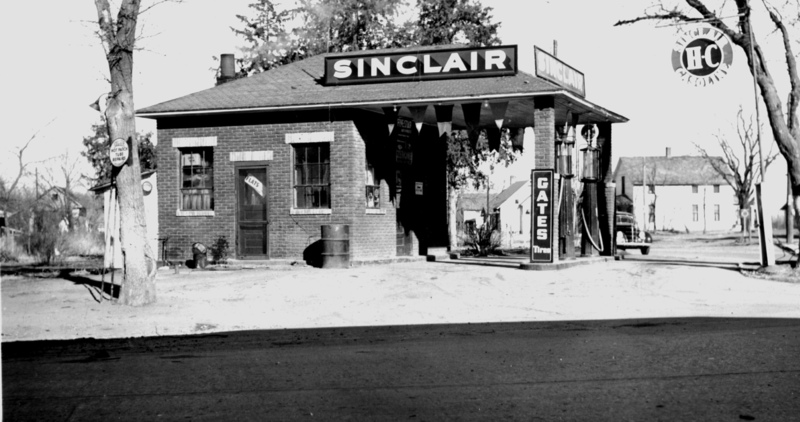 The Steinmeyer brothers operated a Durant and a Star car dealership and Alma Tire and Battery in Alma’s Palenske block during the 1920s. This is one of the Gus Meier photographs donated to the Kansas State Historical Society by Bud Wertzberger on behalf of the Meier estate. Photo courtesy the Kansas State Historical Society and Kansasmemory.org. In 2009 while working in an attic of a house located at 725 Iowa Street in Alma, Steven Fink discovered a box containing almost 300 glass negatives which had been stored in the attic of the house for over a century. Property records reveal that during the years of 1891 through 1899, the house was owned by Gus Meier. A close examination of the negatives revealed that all of the images originate during that same decade. These “lost” negatives are now owned by Alma resident Paul Gronquist. Gus Meier created this only known photo of the Fox Quarry at Alma, Kansas between 1891 and 1899. The quarry was located three miles west of Alma, just north of the Dieball ranch. This is one of the “lost photos” discovered in an Alma attic. Photo courtesy Paul Gronquist. Louis Palenske spent his final years in Alma, enjoying his family and many friends, while maintaining an unmatched enthusiasm for his views of the American West and the pioneer trails. Palenske passed away on August 18, 1943 at the age of 85. The “several hundred large negatives” to which Louis Palenske referred in his 1938 autobiography have disappeared, and none are known to survive. Of the thousand or so panoramas that Louis Palenske produced with his Korona Panoramic View Camera, only sixty-two prints are known to exist, including about fifty Western landscapes. The Wabaunsee County Historical Society maintains the Palenske archives, including many of the panoramas, several hundred standard-format photographs, and over a dozen of the photographer’s manuscripts at their museum in Alma, Kansas. A sincere thanks to the family of Louis Palenske for gifting the Palenske archives to the Wabaunsee County Historical Society. Click on any image below to view in a gallery format. Louis Palenske created this panoramic view of Canyon de Chelly, located on the Navajo nation in northern Arizona during his photographic excursion to New Mexico and Arizona in about 1929. Gus Meier created this only known photo of the Fox Quarry at Alma, Kansas between 1891 and 1899. The quarry was located three miles west of Alma, just north of the Dieball ranch. Photo courtesy Paul Gronquist. This stereoview card was created by Louis Palenske in 1880 while working in a “photography tent” in the mining boom town of Rico, Colorado. In this view a burro train had arrived with supplies for the Davis & Raymond General Merchandise store. Photo courtesy Greg Hoots. Gus Meier photographed the Palenske-Hallgren wedding party at Alma in 1935. Louis Palenske stands at the far right with Emma Palenske to his right, holding granddaughter Rita Stella Faulders’ arms. Earl and Florence Hallgren stand at the center of the group.